This is the fourth and final part of Henri de Villiers’ examination of the various forms and traditions of the pre-Lenten period. Click the following links to read part 1, part 2 and part 3. The original French version was published in 2014 on the website of the Schola Sainte-Cécile. Have demonstrated the antiquity and universality of Fore-Lent in the various rites, we conclude by highlighting some of the themes commonly used in this period in the liturgies of both East and West. A 16th century Russian icon, showing the Holy Trinity, the expulsion from Paradise, and monks contemplating the mortality of man as they preside over a burial. The Byzantine hymns of the Sunday that immediately precedes the first day of Lent, which coincides with the Latin Quinquagesima, is dedicated to the Creation and the sin of Adam and Eve, and contrast the gluttony of our first father with Our Lord’s forty day fast in the desert. In fact, we frequently find readings from the book of Genesis at the beginning of Lent itself, or within the three-week period of Fore-Lent. In the Roman Rite, Genesis is begun at Matins of Septuagesima Sunday; both the Ambrosian and Byzantine Rites have a series of readings from Genesis and Proverbs at Vespers through most of the Lenten season. The remembrance of death and the last things. The meditation on the fall of Adam is naturally accompanied by further consideration of the frailty of man, his death, and the necessity of penance before Final Judgment. This is stated very eloquently in the Introit of the Roman Mass of Septuagesima. Circumdederunt me * gémitus mortis, dolóres inférni circumdedérunt me : et in tribulatióne mea invocávi Dóminum, et exáudivit de templo sancto suo vocem meam. The groans of death surrounded me: and pains of hell surrounded me; in my tribulation I called upon the Lord, and He heard my voice from his holy temple. 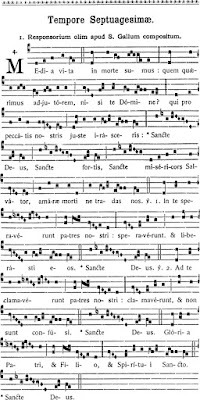 The Media vita is another text often sung during Septuagesima in the Roman Rite. This antiphon, which seems to date back to the 8th century, was later transformed into a responsory, and in many Uses integrated into the liturgy of Lent. In the Middle Ages, this dramatic text was often sung on the battle field to encourage the enthusiasm of the troops. In a similar vein, the Byzantine Rite reads the Gospel of the Last Judgment (Matthew 25, 31-46) on the preceding Sunday, to call the faithful to think of the Last Things. 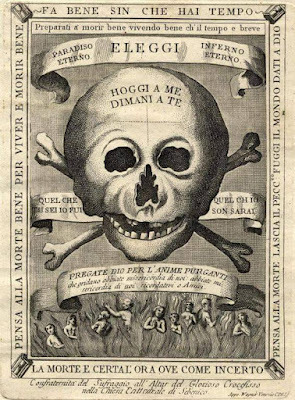 Just as the liturgy of Fore-Lent reminds us of our mortal condition fallen though sin, this period has also become in many liturgical traditions a privileged time to pray for the dead. In the Armenian Rite, the Thursday of Quinquagesima (the last before the beginning of Lent) is dedicated to the commemoration of all the faithful departed. The same holds true for the Saturday before the Sunday of the Last Judgment in the Byzantine Rite; this is attested in the Typikon of the Great Church in the 9th or 10th century, the most important document describing the arrangement of services at Hagia Sophia. The Assyro-Chaldean rite has a similar observance on the Friday of the second week before Lent. Among the Maronites, the three Sundays of Fore-Lent are dedicated to the commemoration of the dead, the first to deceased priests, the second to the “just and righteous”, the last to all the faithful departed. 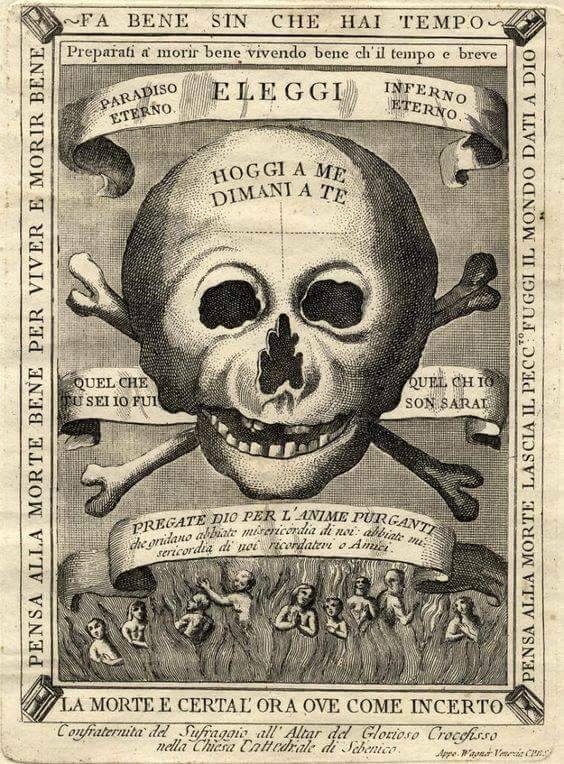 The arrangement of the season among the Syrian Jacobites is undoubtedly the more primitive: the fast of the Ninevites from Monday to Friday of Septuagesima week, the Sunday of prayer for deceased priests on Sexagesima, and for all the faithful departed on Quinquagesima. 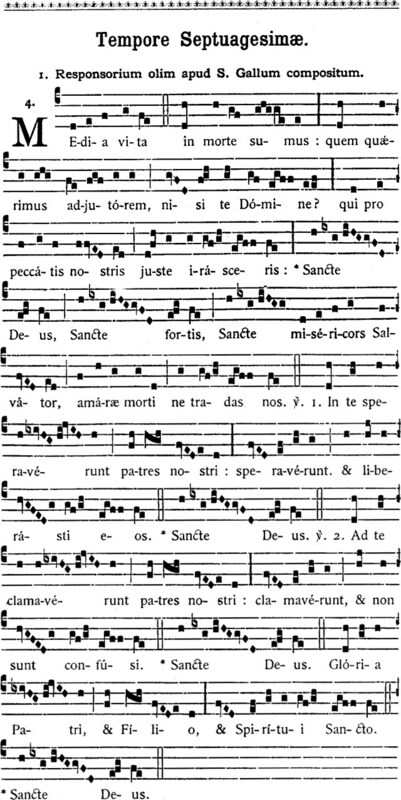 The creators of the reformed Missal of Paul VI inexplicably suppressed the season of Septuagesima, an ancient element of the Roman Rite, without regard for its antiquity and its universality, and even though it is preserved in the Anglican Book of Common Prayer and in many Lutheran churches. These articles have sought to highlight and explain the following points. 1. In all liturgical traditions, Lent is preceded by a penitential period, originally the fast of the Ninevites in the third week before Lent, and the week immediately preceding it (Cheesefare / Quinquagesima / the fast of Heraclius). The most ancient witnesses to this period are from the fourth century: St Gregory the Illuminator, St Ephraem, Egeria’s pilgrimage to Jerusalem. The Copts of Egypt and Ethiopia have two fasts, the Mozarabic Rite has only Quinquagesima, the Assyro-Chaldeans have only the Rogations of the Ninevites. Starting at the beginning of the 6th century, Fore-Lent is developed and extended to the full three-week period before Lent, in the Roman, Ambrosian, Byzantine, Armenian, Syro-Jacobite and Maronite rites. 2. This time is observed as a progressive entry into Lent, allowing for a gradual approach to, and spiritual preparation for, the ascetic exercises of that season. This aspect is explained by Protopresyter Alexander Schmemann in his description of the Sundays of Fore-Lent. 3. Meditation on the Fall of Man and the Last Things, and consequently, the common institution of prayers for the faithful departed, are an important recurring element in the various rites.